Back in 2012, Dishonored delighted many players thanks to its immersive Victorian world, deep gameplay and great cast of characters. And even if the game’s protagonist Corvo did not have much personality, as he was a silent hero (much like the iconic Gordon Freeman of Half-Life 2), he was still great fun to play as due to his variety of combat moves and supernatural powers, and also due to the fact that the game favoured stealth over a direct approach. It is clear to many then, that Dishonored was one of 2012’s best games, so it makes sense that quite a few people are excited about its upcoming sequel Dishonored 2 which will be released this week. And developer Arkane Studios has now released the game’s launch trailer, in which we see some of the game’s locations and which showcases the combat skills and special powers of the game’s duo of protagonists, Corvo Attano from the first game and Empress Emily. 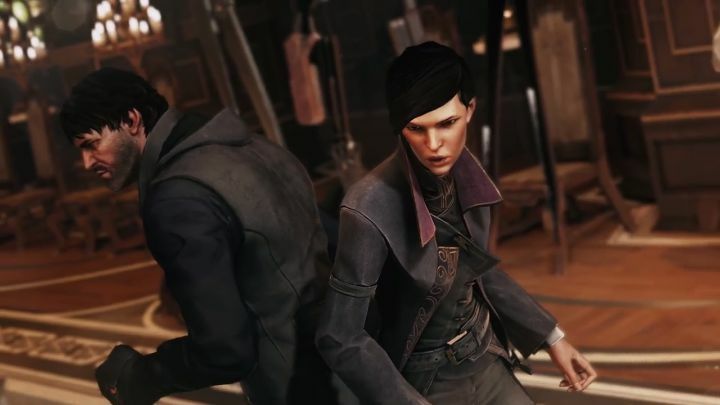 This is perhaps the biggest novelty of Dishonored 2, as this sequel to the 2012 hit will allow gamers to play as Corvo or as Emily Kaldwin, the girl in distress from the original Dishonored who is now a grown-up and as skilled a fighter as masked assassin Corvo in this game. So will Dishonored 2 succeed and be a worthy sequel to the 2012 classic? This remains to be seen, but given that the game’s worldwide release is just around the corner, we don’t have much longer to wait in order to find out whether Dishonored 2 lives up to the hype and ends up being one of 2016’s top video games. Note: Dishonored 2 will be released on November 11. Available on PS4, Xbox One and PC. Has Call of Duty lost its magic touch?